“Men seldom, or rather never for a length of time and deliberately, rebel against anything that does not deserve rebelling against” said Thomas Carlyle. Jack Johnson was never afraid of crossing any line. He was the first African-American heavyweight champion. Jack Johnson was a rebel without a cause. During the early 20th century African-Americans and Whites could fight one another. But, the heavyweight championship was off limits to African-Americans. Johnson stalked and taunted heavyweight champion Tommy Burns for two years to try to get a shot at the heavyweight championship. Tommy Burns decided to fight Johnson for the money. December 26th, 1908 in Sydney, Australia Johnson defeated Burns by TKO in the 14th round. He became the first African-American heavyweight boxing champion. Knowing that the fight would make it to the American theaters, the police stopped the camera man from filming the fight just before Johnson knocked Burns to the canvas in the 14th round. They wanted to avoid more white race humiliation. On April 5th, 1915 Johnson lost the heavyweight title to Jess Willard. But, he never stopped being himself. “He faced the world unafraid. There wasn’t anybody or anything he feared” said Johnson’s ex-wife Irene Pineau. Johnson broke a taboo when he openly dated white women. This was during a time when segregation was sanctioned by the U.S. Supreme Court. He refused to be subservient as most African Americans were told to be in America. African-Americans and Whites heavily criticized Johnson for being outspoken and bold. He wore fancy clothes and drove expensive cars. Once, when he was pulled over for a $50 speeding ticket, he gave the officer a $100 bill; when the officer protested that he could not make change for that much, Johnson told him to keep the change, as he was going to make his return trip at the same speed. 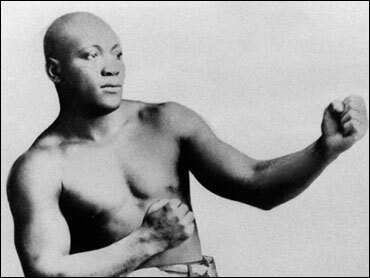 Jack Johnson became heavyweight champion during a time when African-Americans were getting lynched and had no civil rights. He was a fearless and courageous man. However, he was not a civil rights activist. Johnson was a rebel without a cause.